Are you looking for a dealership experience that meets and exceeds expectations? 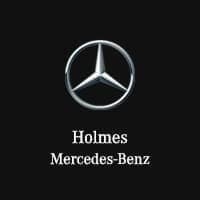 At Holmes European Motors, we’ve brought together a team of automotive experts and service professionals that is fully dedicated to achieving excellence, bestowing great customer service, and reflecting the superior nature of the Mercedes-Benz name in everything we do. When it comes time to service your vehicle, you can always depend on our factory-trained and certified technicians to handle the job right the first time. Our Express Service makes sure you get in and out more quickly when you come in for standard maintenance procedures. Should you ever need to leave your vehicle with us, we’ll happily lend you one of our Mercedes-Benz vehicles so you’re never without a comfortable ride. Enjoy premium luxury models and top-of-the-line service near Bossier City, Alexandria, Texarkana, and Longview at 1221 E Bert Kouns Industrial Loop Suite A in Shreveport, LA. Feel free to reach out to us if you have any questions or to schedule a test drive!